Today, Nintendo released its sales forecasts. The company's financial year ends on March 31, and Nintendo has modified its sales predictions. In a downward direction, that is. But not all the news is bad. Initially, Nintendo forecasted 18 million 3DS handhelds sold worldwide this financial year. The revised number is now 13.5 million. That's certainly respectable! In comparison, Nintendo sold 13.95 million 3DS handhelds worldwide last year. However, Nintendo tells Kotaku that the 3DS was the biggest-selling console in the U.S. this past December as well as for 2013 overall in the U.S. That's good news! 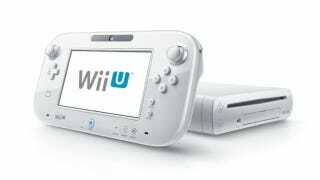 Nintendo also originally predicted it would sell 9 million Wii U units worldwide during this financial year. That number has been revised down to 2.8 million. To put things into context, Nintendo forecasts 1.20 million Wii consoles sold worldwide during this financial year. Originally, it had forecasted 2 million Wii consoles sold. There are only a few months left in the financial year, so these revisions seem to show that Nintendo doesn't think the Wii U is selling that great. There's still time for a turn around, right? Maybe not this financial year, but starting in April. The 3DS came back strong, and maybe the Wii U can too. As year-end sales constitute an extremely high proportion of the annual sales volume in the video game industry and the annual financial performance of a video game company rests heavily on its performance in the year-end sales season, we put in place various promotional activities in order to promote sales and expand our audience in the year-end sales season of the previous calendar year. However, it is now expected that our sales will fail to meet our previous forecast by a large margin. Giving a detailed explanation on our sales performance in and leading up to the year-end sales season by platform, Nintendo 3DS continued to show strong sales in the Japanese market. The unit sales for Nintendo 3DS in the previous calendar year amounted to approximately 4.9 million units, falling short of our aim of five million units by a small margin. However, as I explained before, given that every gaming device from the year 2000 onwards apart from Nintendo DS and Nintendo 3DS did not reach sales of four million units even in their peak years, we can say that the sales figure for Nintendo 3DS in the last calendar year was indeed very high. However, outside Japan, while its market share increased as we continued to release compelling titles throughout the year, Nintendo 3DS did not reach our sales targets in the overseas markets, and we were ultimately unable to achieve our goal of providing a massive sales boost to Nintendo 3DS in the year-end sales season. Using the U.S. market as an example, Nintendo 3DS became the top-selling platform in the last calendar year, according to NPD, an independent market research company, with its cumulative sales exceeding 11.5 million units; however, the estimated annual sales of the Nintendo 3DS hardware remain significantly lower than our initial forecast at the beginning of the fiscal year. In Europe, while the individual markets showed different results, France was the only market in which we experienced relatively strong sales, and we failed to attain our initial sales levels by a large margin in other countries.